Mac has to be hands down my favourite lipstick brand of all time; I don't think I will ever stop buying them, much to the detriment of my bank balance. That being said I think Mac is actually really reasonably priced for a good quality lipstick. 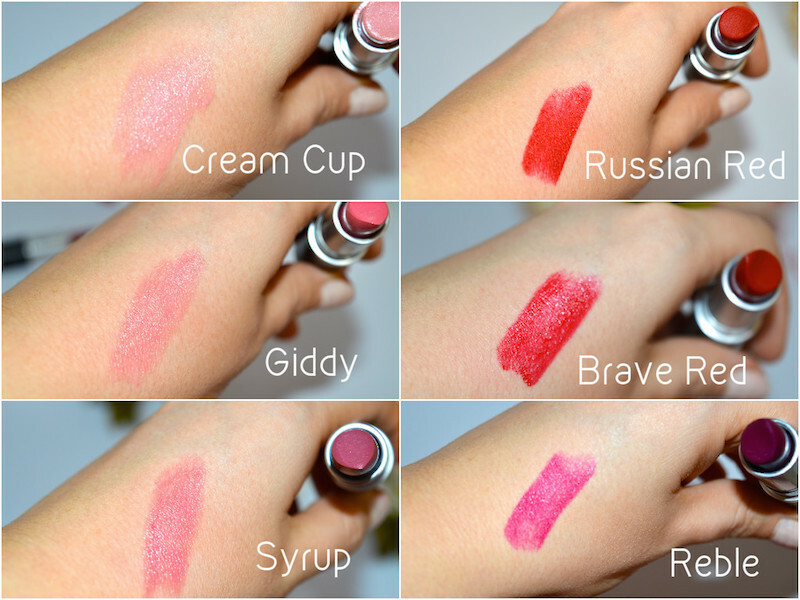 So I have accumulated a few and thought it would be nice to do a little Mac lipstick collection post, especially if you want inspiration on new shades to try. I think I have a nice blend of daytime lips and night-time lips. I love a red lip. That is my go to colour if I am going out or can get away with being a little more dressed up during the day. Russian Red is my fave red lipstick from Mac, it’s a matte lipstick which I much prefer at the minute; I think a matte lip looks really classy and put together. Brave Red is a really nice red as well; this one is in the creamsheen category and is a much deeper colour then Russian Red. Does anyone actually know what the different categories from Mac actually mean? Let me know below. Giddy and Syrup are my most worn daytime colours, these two are actually the most recent additions to my collection and I love them. Syrup is a nice purple pink that just gives you a good wash of colour and Giddy is more of a lighter pink “your lips but better” colour. Cream Cup and Please Me are also in my all-time favourite daytime lipstick category, Cream Cup is a very light pink and I think only looks really good when you have a good tan and then Please Me is a matte pink and great for looking put together when you are in a rush. The two most daring colours I have has got to be Rebel and Impassioned. Rebel is a deep purple and very different to what I would usually wear but I was really surprised at how much I loved it when I tried it on. I bought this in the winter and I think it is a great shade for that time of year. 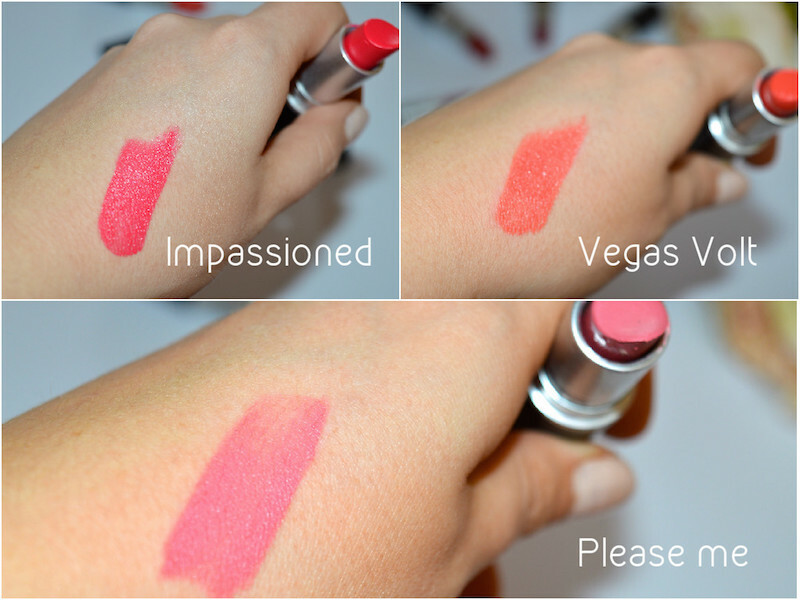 Impassioned I have had for a long time and it is a bright fuchsia pink, perfect for holidays when you have a tan. I especially like wearing this if I am wearing all black as a pop of colour. The one that I don’t wear to that much Vegas Volt I don’t think I suit coral colours now my hair is blonde again, my friend Steph wears this one and it looks amazing on her as she has dark hair.